My name is Kelly Woodruff and over the past few weeks I have enjoyed getting the opportunity to speak with many of Upper Deck’s customers over the phone and connecting through email. I am Upper Deck’s Customer Care Supervisor and I recently moved to California for the position after working for Upper Deck’s Operations Department for a little over two years in North Carolina. I sincerely look forward to helping address any and all issues that arise within our customer base and our Customer Care Team is excited to be a helpful resource for collectors. As a long time sports fan I feel very lucky to have the opportunity to work in the sports industry. 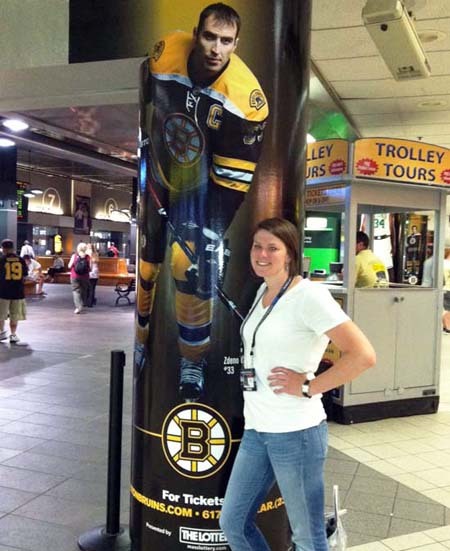 You may have met UD's new Customer Care Supervisor, Kelly Woodruff, at the Stanley Cup Final last year. I am excited to help Upper Deck improve in terms of engagement with our customers around the world. One of my greatest successes thus far has been helping to initiate the fulfillment of redemption cards for customers at trading card shows like the Spring Expo. Look for more of that in the future! I also want to help by sharing answers to some frequently asked questions here in our Customer Care group by bringing back the Ask UD segments. Ask Upper Deck: I have seen some customers getting their 2011-12 NHL Artifacts rookie redemption cards, but I haven’t received mine yet. When will I be getting my cards? Kelly Woodruff: We added a new level of collectability with the 2011-12 NHL Artifacts set with the inclusion of the autographed versions of these cards. We had less subjects for the autograph cards and thus were able to start the process of getting those cards produced and signed much earlier. We were able to send out everything pending back in April for the autograph versions and then the unsigned versions came in after that. The unsigned versions took longer to get produced because we had to wait longer for rookies to skate and even then, some teams did not have a rookie skate by the time we had to go to press (Dallas Stars & Boston Bruins). For those teams who did not have a rookie skate (a NHL requirement for producing rookie cards), those redemption cards immediately became “wild cards” good for top tier rookies from other teams. Autograph rookie redemptions certainly added more value, but added time to the shipping process for all Artifacts redemption cards. With the inclusion of the autograph cards, we were a little late in starting the process of shipping out the unsigned cards. In years prior, we sent those out one by one, but this season we wanted to take the time to pull all the cards for each request and send them together so customers are not wondering where the rest of their cards are. This takes a little more time, but it appears to be the preferred method of delivering these cards based on feedback from our customers. We also allowed customers who were waiting on these cards the opportunity to pick them up at the 2012 NHL Spring Expo in May. Eric Dion, these cards are for you! 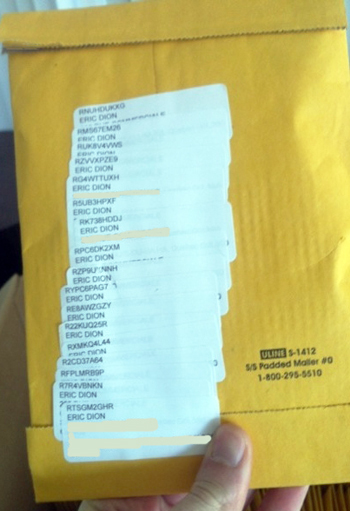 All seventeen of your Artifacts redemptions are being shipped together! Our staff have been working diligently to get through the remaining outstanding redemption requests for these cards and it has been good to see excited collectors share their mail days for these cards on Facebook and Twitter in particular. Unfortunately there are thousands and thousands of cards to be sent, but we are working hard and logging overtime to get the shipping process completed in the next couple weeks. 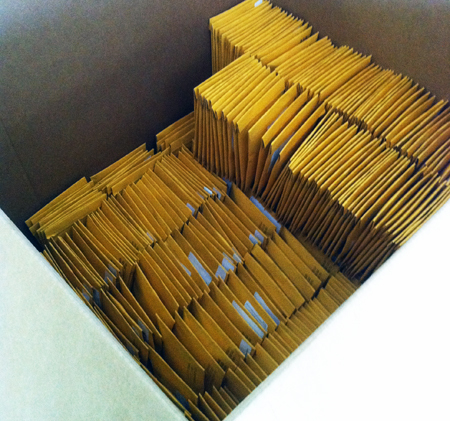 Keep checking the mailbox, we are in the homestretch here and we appreciate everyone’s patience! Hundreds of packages containing Upper Deck Artifacts redemptions are shipping out each week to collectors. We are getting closer and closer to completing the shipping process. Ask Upper Deck: I checked my account for an older redemption and it shows it mailed, but I never received it. What can I do? 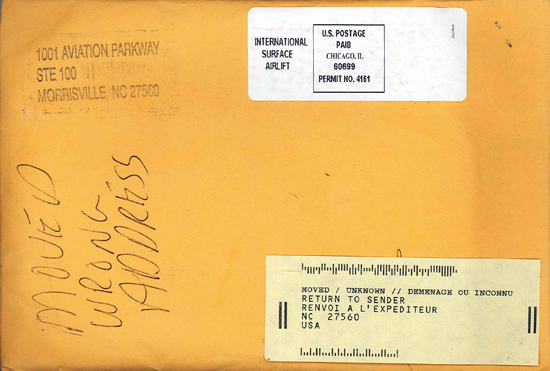 Kelly Woodruff: First please check your address and make sure we have the correct address on file. Frequently collectors move and in those cases the cards are usually returned to us. If it is an address issue, update it online and give us a call so we can resend the cards to you. Additionally, please make sure you provide us with your accurate phone number and email address so we can reach out to you. Your information will never be shared and you will not be contacted unless there is a problem with delivering your redemptions to you. Sometimes collectors move and do not change their information online or have a way for us to get a hold of them. Make sure all your information is updated on your online account! If the address is correct, we’ll need you to fill out an affidavit so we can submit a claim and on occasion have the shipping company do a driver follow-up with you to review what may have occurred. Send an email to QA@upperdeck.com with all the key information and we will send you the affidavit. We must hear from you within six (6) months of shipping the card or else we cannot issue a claim and resend the card(s). Ask Upper Deck: I understand there is a relatively new process for customers to get assistance on warranty issues for new Upper Deck products. What can you tell me about that? Kelly Woodruff: Yes there is. 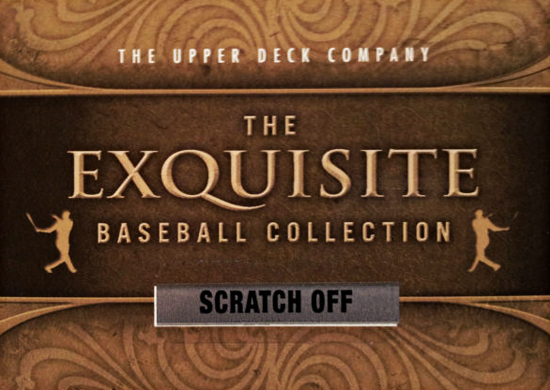 We are happy to assist with issues on new Upper Deck products purchased from Certified Diamond Dealers for one (1) year from the product release. In order to assist customers with warranty issues on new Upper Deck products we will need a receipt from the Certified Diamond Dealer for hobby products or a receipt from the retailer for retail products. Additionally we need the UPC from the box or packs where there were issues. After confirming you have that information handy, please call us at (800)873-7332 or email us at QA@upperdeck.com and share all the pertinent information regarding your warranty concern including your name, address, phone number and email address. If the claim is validated, Upper Deck is willing to provide assistance on issues with factory damaged cards, insert ratios, collation and redemption offers that have not expired. We will provide you with a case number to allow you to check the status of your claim and provide instructions on how to send your information in to receive assistance. Ask Upper Deck: I want to buy some older product, but I’m worried I may pull a redemption that has expired and you can no longer honor. How do I protect myself from that? Kelly Woodruff: Due to recent licensing changes with leagues, we are aware that there are collectors looking for older Upper Deck product that deliver good value, but we have made it very clear that if customers pull expired redemption cards, especially for leagues we no longer have a license for, we would not be able to assist with fulfilling those items. We encourage collectors who are looking to purchase older sealed cases, boxes and packs to contact us first so we can let you know if the redemptions are still valid and if we can honor those cards. You can reach us at (800)873-7332 and for more information about expired redemptions, please view this previous “Ask UD” post. Could there be expired redemptions in the box you are about to buy? Contact us first to find out. Ask Upper Deck: I have seen some box breaks where people are pulling more autographs than stated from 2012 Upper Deck College Football Legends. Some are buybacks from the original 1997 set. Which players are included? Kelly Woodruff: We felt that including some original 1997 Legends Football cards would help create some good buzz for this product and they were seeded as an incremental hit above and beyond the autographs you are slated to receive on average. These are a true bonus and we have included top players like Joe Theisman, Billy Sims, Jim Plunkett and Fran Tarkenton to name a few. Worthy of note, every autograph card in the set is hard-signed on the card! 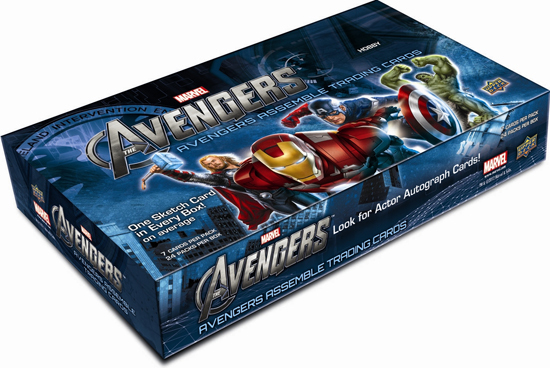 Ask Upper Deck: I keep looking for Upper Deck’s Avengers Assemble trading cards, but I cannot find them. Where can I pick up some boxes of packs of this product? Kelly Woodruff: Much like the film, Upper Deck’s Avengers Assemble trading cards have been a huge hit and we have sold out of our allotment on the Upper Deck Online Store. If none of the Certified Diamond Dealer or retail locations in your area carry the product, please try our network of Authorized Internet Retailers who can ship directly to you. Click HERE to review that list of stores. You may also want to check out some of Upper Deck’s other Marvel products. I would like to say thanks to Kelly for helping me out recently. Great job! Two thumbs way up!! I really wish you guys would do something about expired redemptions…even if its just a promo card that you only send with unexpired redemptions (it doesnt even have to be autographed or a jersey or numbered) so you guys don’t have to pay extra for shipping those out. Case in point i pulled a redemption out of 2006-07 flair showcase today for an autograph and didnt pull any ‘real’ autos out of the box (which is supposed to contain an auto every box)….its the 2nd time i pull an expired auto redemption out of this product and believe me i’ve never gotten 2 autos in one box so to me the packaging odds is missleading…it averages to less than one auto per box…too bad it would have been my 1st brodeur auto and my 1st zetterberg auto i would have pulled today. Kelly you rock!!! I’ve called twice in the last month and both times you snagged up my call before the second ring!! Keep up the amazing work! I just wanted to tell Kelly and everybody else at Upper Deck that you guys are doing a great job and to keep up the great work! My two daughters and i are making the 10hour drive to Baltimore for the National this August and we are so excited! We went last year in Chicago and had a blast, so we cant wait to stop in at the Upper Deck booth like we always do and say hi to you all. Cant wait to hear and see what you guys have planned for this years National! Thanks again. Still waiting on basketball redemptions from over a year ago. Hey Guys, im collecting the UD all time greats auto set for david robinson, i was wondering where i could find more info on them in regards to how many could in in circulation and how many are probably sitting in un opened boxes. I loved the article on the guy collecting the goodwin champions cards and im kinda in the same boat as him but a bit further off the complete set.